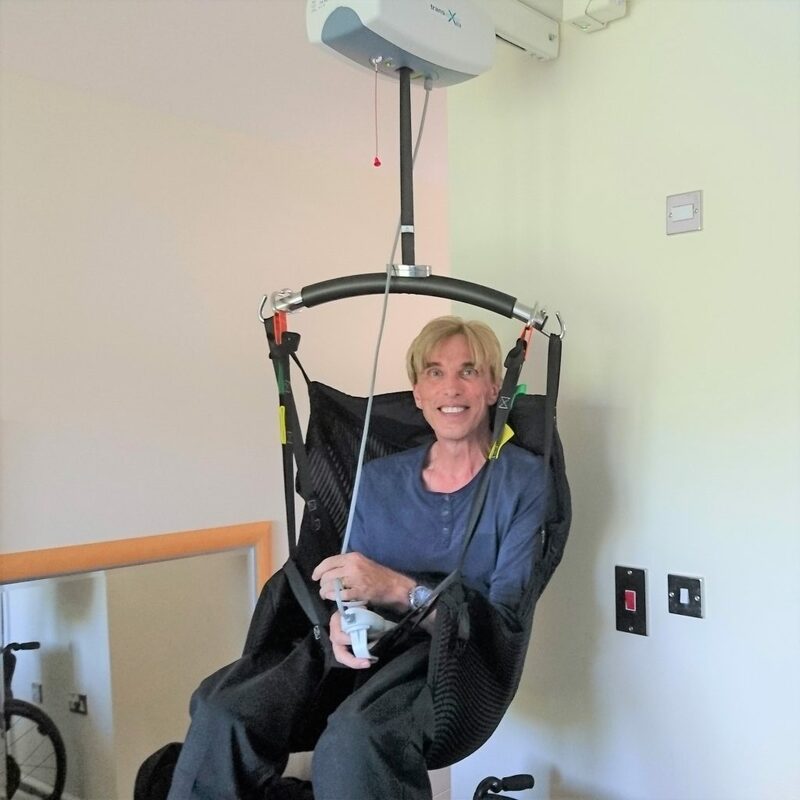 My electronic CEILING-TRACK HOIST has just been installed by the great #NHS followed by several visits from hugely-supportive OT to train my carer team. This really is a key piece of the jigsaw. 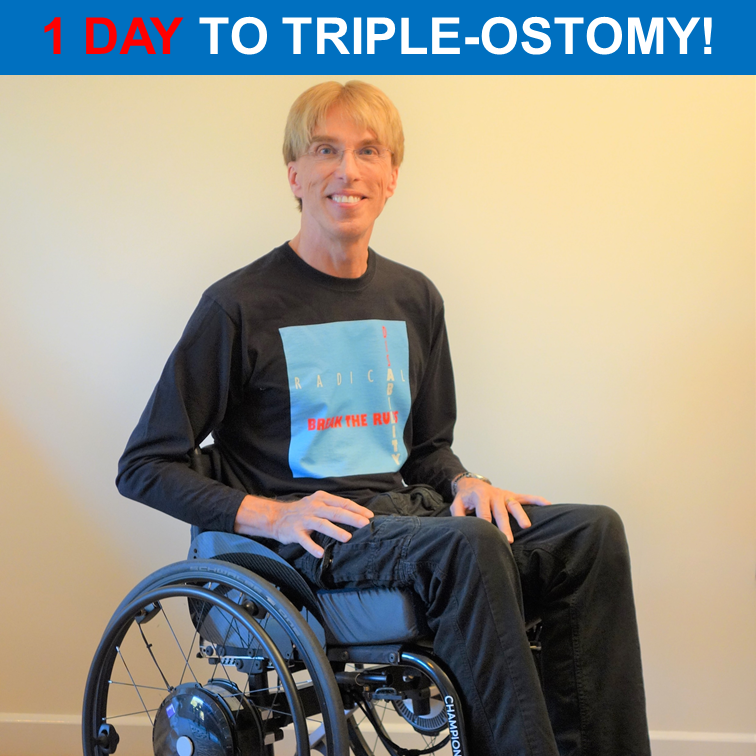 I can now transfer from bed to electric wheelchair or shower chair and – because I’ve now hired a WAV (Wheelchair Accessible Vehicle) and my platform lift is fully installed – that’s the ONLY transfer I’ll need all day once my Triple-Ostomy is complete! Spent two hours with the amazing Tracy Thomas – #MND Care Network Co-ordinator for South-West England. 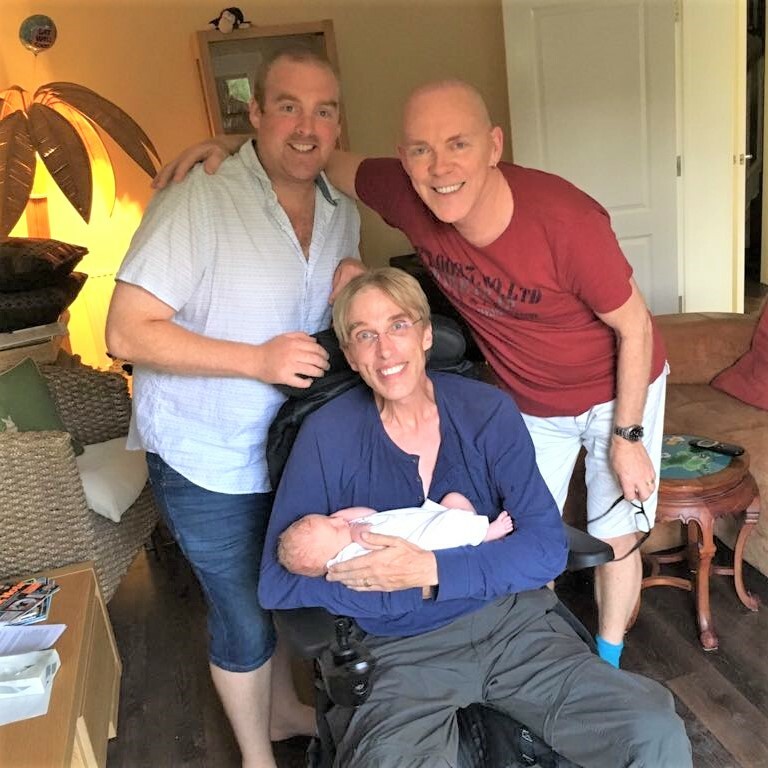 My Triple-Ostomy is now to be the start of a cross-discipline MULTI-DECADE ‘Radical DisABILITY Project’ of pioneering research exploring ‘How best to THRIVE after Lock-In’, with ME as the guinea-pig! Unbelievably excited by the prospect!! UPGRADE COMPLETE. Home just in time to hold my brand new 4-hour-old Great Nephew, Edward! 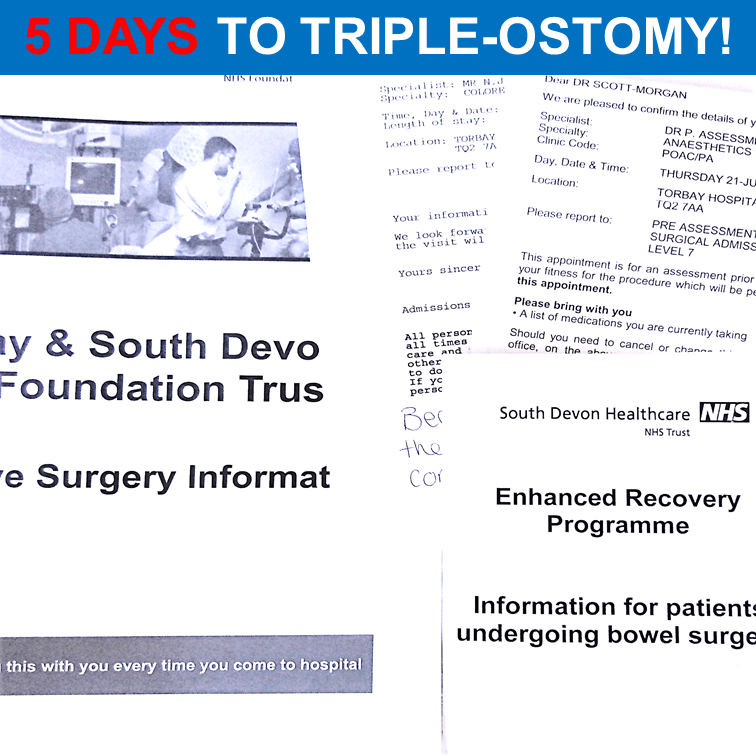 VERY LUCKY – my pioneering Triple-Ostomy has turned out a huge success, wth only minor complications that were quickly and expertly managed, though my brilliant #NHS team has asked me to stress that just because I did so well nevertheless the FULL RISKS (that could in the extreme have left me permanently on a respirator) remain for any #plwMNDwho may now choose to follow. Nevertheless, they also tell me that my op proves that this is a perfectly valid option that CAN now be made more broadly available. So, going forward, everyone with #MND has an extra choice where previously we had none. As for me: PETER 2.0 IS ONLINE! 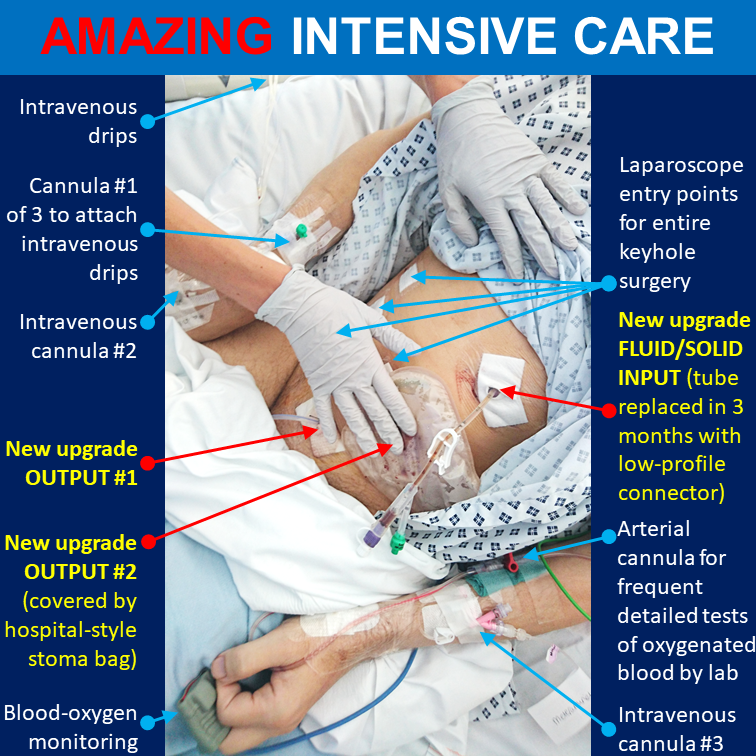 I am IMMENSELY PROUD of #NHS and the exceptional team @TorbaySDevonNHS. They showed great courage to proceed with my ELECTIVE Triple-Ostomy despite all the anticipated risks for #plwMND. Note: This trailblazing op did NOT happen in a private US institute or even an elite UK Teaching Hospital. It happened in Torbay. KUDOS to absolutely everyone involved!